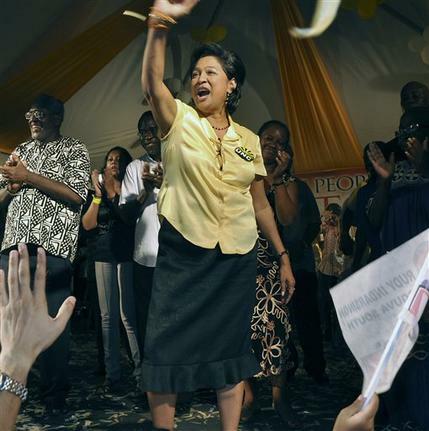 Kamla promises to play the matador today folks. That can only mean one of two things. Plenty BULL$H@T or Machel Montano going to honour the PM by jumping off the Hyatt dressed as a matador with a jet pack! Yes, I put as much thought into that statement as Kamla rani has put into her speeches this past week of UNConfidence 2012 Campaigning to show the masses that the Govt that has done nothing for the last 21 months and 7 days is performing. Where's the ECONOMIC THRUST to bring us out of 3 years of 0 per cent growth? Where's the report on the Trade Mission to India? Where's the report on the PROBE into JACK? Where's the report to show the economic impact of the FAILED SOE on the Country? Where's GIBBS' REPORT on the CROP DUSTER? Why was $60m spent to refurbish a warehouse for SoE detainees? Who is going to lead the SSA? Where's CALDER HART? Didn't the AG promise to bring him and Manning to justice for the UDECOTT Squandermania? How come we can't hear nothing about UDECOTT, HART or SQUANDERMANIA any more? Why is SAT allowed to run roughshod over a Min of Ed approved Principal? Why did a unit that falls directly under the AG RAID A MEDIA HOUSE AND A JOURNALIST'S HOME? But I know that today we won't get any straight answers from you Madam PM....or your deck of Jokers. Your modus operandi today will be to deflect, lie and accept no responsibility. In the meantime I take comfort in the fact that Little Amy has has received some justice! 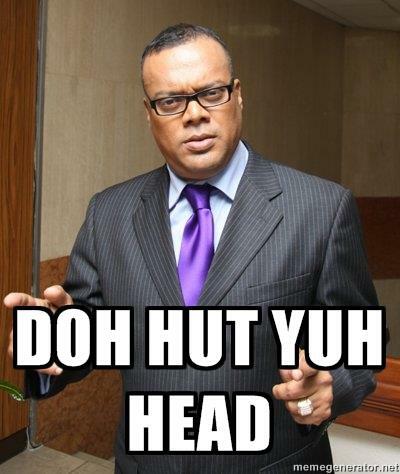 And Ian Alleyne still alive to make poor people and disenfranchised citizens still feel they have some recourse....because God Knows your lack of a Crime Plan aint doing it for them! So play yourself with the big crowd and pappy show. Many of us will be actually listening for the substance of your speeches and ready to take you to task for the Theatre of the Absurd that you have turned our parliament into. The Pantomime is truly disgusted with your governance Madam Prime Minister. And I don't need Rowley and his Ten Men to tell me that!